In 2008, Mark listened for the first time the Bilas in India and after a very intense spiritual experience he began his path to heal thru sound of high frequencies. The Bilas are flat bells that generate vibrations and sounds of High frequencies designed by Alexander Zhikharey. 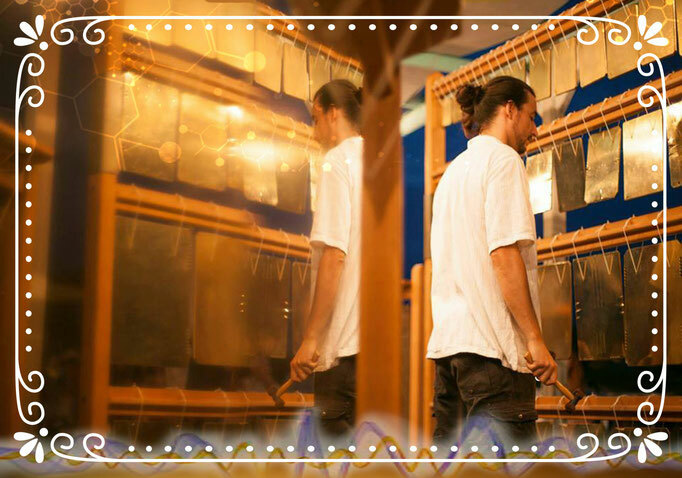 With the help of Alexander, he has created the largest Bilas set of the world and the only one with meditative healing properties and special frequencies with more then 70 flat bells of High Vibration and a special therapeuthic tune. 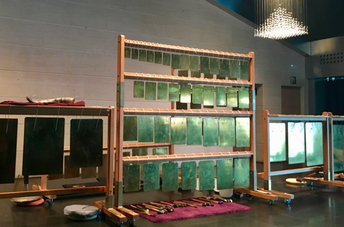 Last year Vianna & Guy Stibal and some of their instructors had the chance to experience a magical concert of flat bells channeled by Marc Pulido and this year we are pleased to have him back during the Instructors certification.